Definitely Google is keeping their word to roll out the Android 4.0.3 Ice cream Sandwich to the Nexus S smartphone which is second Nexus launched last year. Android Ice Cream Sandwich is basically combines the power of Tablet & Mobile OS together and puts the best of both world in Android UI. So same Android version can run on both Tablets as well as Smartphones and it brings more power to developers to develop apps just once and they will work on range of devices. There are many minor updates which takes Android ICS to whole next level. The official update of Android 4.0.3 Ice Cream Sandwich for Nexus S smartphones is already reaching users OTA & upadte will continue rolling out for one month and will cover various regions one after other. Note that this update is for GSM/UMTS users and CDMA users will have to wait few more days. So now you can either wait for update to come to your device or here is how you can download & install Android Ice Cream Sandwich on Nexus S.
From this link download the official Android 4.0.3 ICS, which is a zip file and save it. Now rename the downloaded file to – ‘update.zip’. Now just switch OFF your Nexus S smartphone. Then Power Nexus S back on while holding down the Volume Up button, followed by the Power button. Then using up and down volume button your Nexus S, navigate to the Recovery option and then press Power button to select the option. Now one creepy & big exclamation mark will show up on the screen, Just ignore it. Now you have to simply hold down the Power button and then the Volume up button. OK, now you are inside the recovery menu of Nexus S, Here you have to select the update from SD card option, select the update.zip file you placed in your smartphone` in step 2 and hit the Power button to select. You have to wait here for some time now, the process carries itself out and you do not have to do anything now..
Once its completed, Just select – Reboot System Now And Guess What ?? 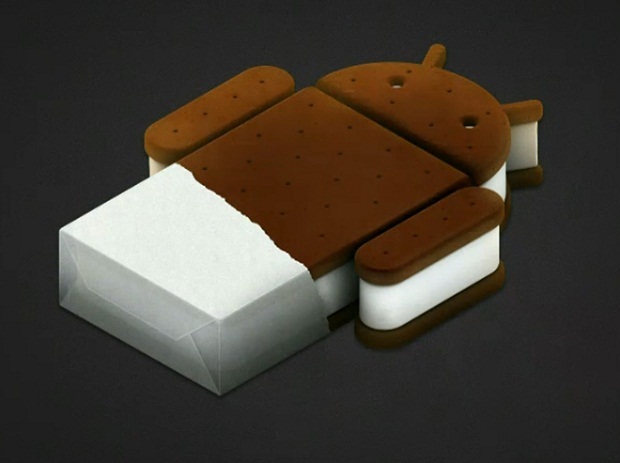 Your Nexus S will boot up with the spanking new Android 4.0.3 Ice Cream Sandwich ! And hey if you got the notification for updating already you can go in System > Update and do this process automatically, but make sure to keep your batteries charge more than 75-80% for safety while updating it.